Arsenal take on Huddersfield Town on Sunday in what will be Arsene Wenger’s final match in charge of the club. It’s going to be a strange atmosphere at the Kirklees Stadium on Sunday afternoon. 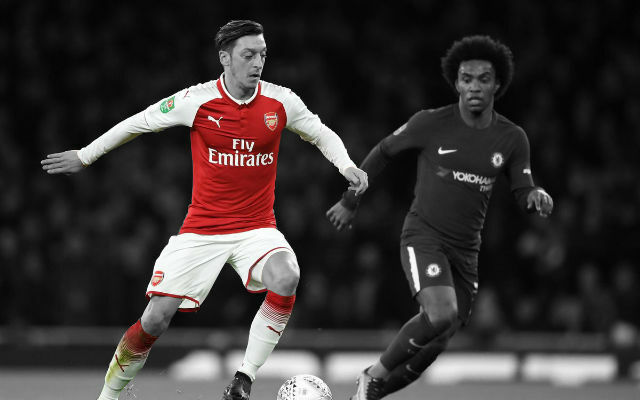 Arsenal take on Huddersfield Town in the final Premier League match of the season with contrasting emotions expected from the two clubs. Huddersfield will be in a celebratory mood after securing their Premier League status in midweek while the Gunners are preparing to say farewell to manager Arsene Wenger. It’s the Frenchman’s final match in charge of the club and the Gunners will be hoping for a win to put an end to that horrific away record in 2018. Arsenal’s point-less away record continued with the 3-1 defeat to Leicester City in midweek, a match which saw a number of changes for ten-man Arsenal. Alexandre Lacazette and Jack Wilshere were both rested for the fixture so it’s likely that we can expect to see them come back into the team on Sunday. However, the likes of Mesut Ozil, Mohamed Elneny and Santi Cazorla will all miss the fixture along with Konstantinos Mavropanos who will begin his three-match suspension. It’s going to be an interesting match on Sunday afternoon. It’s a good opportunity to say farewell to Arsene Wenger but many Arsenal fans will also want to get this season over with so they can look forward to the next.